Did a conservative think tank just give Bernie Sanders the evidence for his "Medicare for All" plan? We’ll ask them and Sanders. Charles Blahous, senior research strategist at the Mercatus Center at George Mason University. Former senior economic adviser to President George W. Bush. Vox: "Bernie Sanders’s $32 trillion Medicare-for-all plan is actually kind of a bargain" — "$32 trillion. 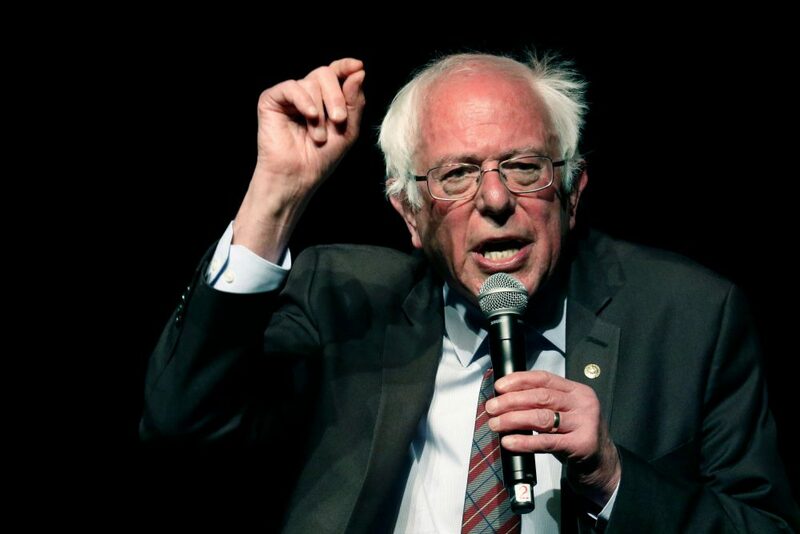 That is how much federal spending would increase over 10 years under Bernie Sanders’s Medicare-for-all bill, according to a brand-new estimate from the libertarian-leaning Mercatus Center at George Mason University. Before you question the source (like Sanders did), you should know the left-leaning Urban Institute came up with the exact same number in 2016. It sure sounds like a lot of money, and conservatives hopped all over the figure on Monday morning. But there are a lot of ways to think about $32 trillion — and one might be that it’s actually kind of a bargain." Mercatus Center: "The Costs of a National Single-Payer Healthcare System" — "M4A would markedly increase the demand for healthcare services while simultaneously cutting payments to provid­ers by more than 40 percent, reducing payments to levels that are lower on average than providers’ current costs of providing care. It cannot be known how much providers will react to these losses by reducing the availability of existing health services, the quality of such services, or both." Wall Street Journal: "Even Doubling Taxes Wouldn’t Pay for ‘Medicare for All’" — "The idea of 'Medicare for All' has energized progressives ahead of November’s midterm elections. Across the country, candidates like New York congressional hopeful Alexandria Ocasio-Cortez have rallied to the slogan. Vermont Sen. Bernie Sanders introduced the Medicare for All Act last year and has so far rounded up 16 co-sponsors. Last month, 70 House members formed a Medicare for All Caucus. But there is an enormous gulf between the appealing idea of Medicare for All and the incredibly expensive reality." STAT: "New on the streets: Gabapentin, a drug for nerve pain, and a new target of misuse" — "Last December, Ohio’s Board of Pharmacy began reporting sales of gabapentin prescriptions in its regular monitoring of controlled substances. The drug, which is not an opioid nor designated a controlled substance by federal authorities, is used to treat nerve pain. But the board found that it was the most prescribed medication on its list that month, surpassing oxycodone by more than 9 million doses. In February, the Ohio Substance Abuse Monitoring Network issued an alert regarding increasing misuse across the state." Washington Post: "Trump administration widens availability of skimpy, short-term health plans" — "The Trump administration issued new insurance rules Wednesday to encourage more Americans to buy inexpensive, skimpy health plans originally designed for short-term use. The policies will be available for 12 months at a time, up from a current limit of three, and customers will be able to renew them for additional years. The short-term plans do not have to cover preexisting conditions and certain kinds of health care that the Affordable Care Act requires. The new rules are the second tool the administration has devised lately to foster low-price insurance that circumvents the ACA’s coverage requirements and consumer protections. In June, the Labor Department issued rules that will make it easier for small companies to buy a type of insurance known as association health plans and, for the first time, allow them to be sold to people who are self-employed." For many Democrats, a single-payer health care system remains a dream worth fighting for. The government would run health care, eliminate co-pays and insure everyone. And the cost? A conservative tally of Bernie Sanders’ plan puts it in the stratosphere: $32 trillion over 10 years. And a big jump in taxes. But the same study concludes it would cut health care spending by $2 trillion. Can both be true? This hour, On Point: Bernie Sanders and the cost of "Medicare for All." This program aired on August 2, 2018.